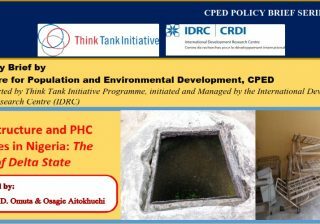 The annual monitoring visit to Centre for Population and Environmental Development (CPED), Nigeria, usually undertaken by Dr. Diakalia Sanogo, a program specialist of the Think Tank Initiative (TTI) arm of International Development Research Centre (IDRC) is one that CPED usually looks forward to. Such visit provides opportunity for CPED and its associates to learn, re-evaluates its operation and better positioned to achieve its objectives and vision as proposed in the current strategic plan. 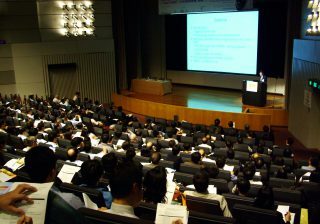 However, the uniqueness of this year’s visit (October 8-11, 2017) warrants this brief report. 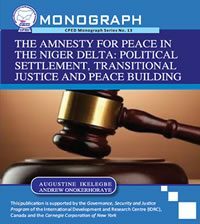 This year’s visit to CPED, Nigeria, is in three folds. Dr. Diakalia visited CPED head office October 9, 2017. Upon his arrival, the entire CPED staff, including the Executive Director, Professor Emeritus Andrew Godwin Onokerhoraye were very excited to welcome this great mentor to CPED, once again. The chairman board of trustees, CPED, represented by Professor Williams Akpochafo, also a member of the board, was present to receive Dr. Diakalia. Some CPED research associates- Professor Mrs. Felicia Okoro, Dr. Francis Onojeta, CPED mentees from neighboring academic institutions, among others, were also present to welcome this great programmer. In the early morning of his visit on this day, Dr. Diakalia’s interacted with CPED management on many areas such as organizational performance, policy linkages, capacity building and forward looking action plan for CPED, e. t. c. In the afternoon of his visit the Maternal, Newborn and Child Healthcare (MNCH) project team, used the opportunity to showcase through a power point presentation its implementation research project in Okpe Local Government Area of Delta State in preparation for the visit to community. 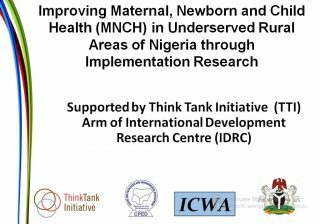 The MNCH project which was implemented in Okpe LGA was co-sponsored by TTI, CPED, (ICWA) and Delta state government through the Ministry of Health, Asaba. 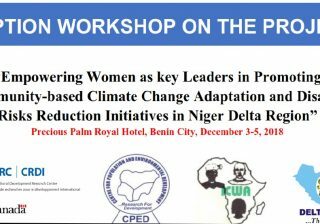 Others present during the presentation include Dr. Wilson Imongan, executive director Women’s Health and Action Research Centre (WHARC); Saliu Aidorolo, executive director, Idea Development and Resource Centre (IDRC), Benin City, media practitioners and other key stakeholders in Edo state. 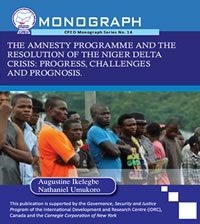 Dr. Francis Onojeta, a policy maker in Delta state Ministry of Health, and a member of the MNCH project team made the presentation which was followed by questions, comments and discussion by all participants. 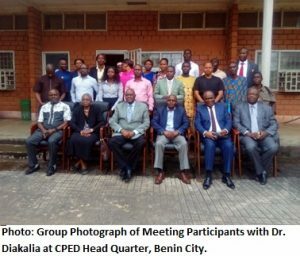 The occasion was climax by a group photograph taken with Dr. Diakalia, the special guest to CPED team, and a lunch for all, which further provided opportunity for more interaction and networking among participants. 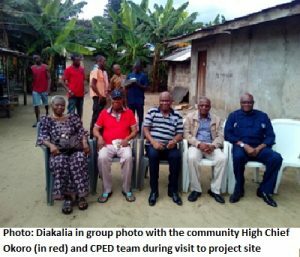 The visit to one of CPED’s project communities was the high point of Dr. Diakalia’s visit to CPED at this time. 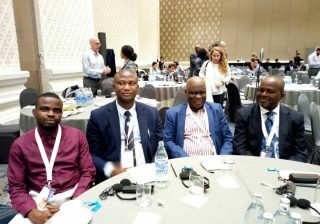 Those who undertook this visit include, CPED executive director, Professor Emeritus A. G. Onokerhorare, a member of CPED board of trustees Professor W. Akpochafo, TTI supported MNCH project team members Professor (Mrs.) F. I. Okoro, Dr. F. Onojeta, Engr. Job Eronmhonsele and CPED programme staff, Osagie. J. Aitokhuehi. 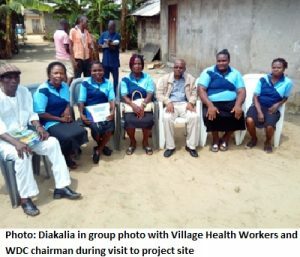 Dr. Diakalia together with this team visited the project location where the MNCH implementation research was carried out in Okpe Local Government Area, Delta state. Members of the Agbamuene kingdom comprising Okwabude, Okuogholo, Okufoma and Onyeke communities were on hand to receive the team with their usual traditional way of welcoming visitors. Chief Dr. Okoro on behalf of the community leaders thanked the project team for the visit and the work done so far in the community. 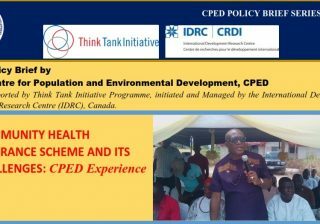 The CPED established Community Health Insurance Scheme (CHIS) management committee chairman Mr. Daminume Erirhomuru applauded the team for the visit and TTI for the support to the team to implement the project on improving maternal and child health in the area. According to the chairman, community members are living healthier life now since the project started. “Many are now aware of their health status. Community members can now go to the health centre without having to worry about cost of treatment. In fact we are better now” he said. The MCNH project trained volunteer Village Health Workers (VHWs) were also on grand to welcome the team. With their jingles and songs they praised the team for the MNCH project deliverables and CPED, especially for working with Okpe communities at this critical time. 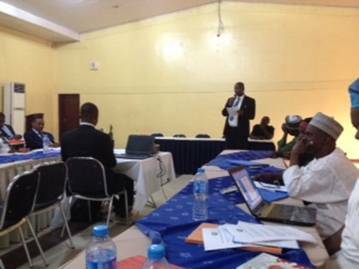 Dr. Diakalia thanked the community members for their support and re-iterate IDRC program objectives and goals to support developing nations like Nigeria. He further charged the community members to always support initiative of this nature and accept it as their own project for it to be sustainable. 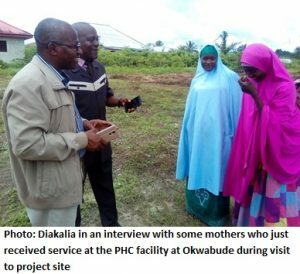 Prayers of more blessings and opportunities were said and thereafter the team visited the PHC facility at Okwabude where the MNCH project team did some renovations, including installation of borehole facility, installation of lightings, and painting of the facilities, among others. 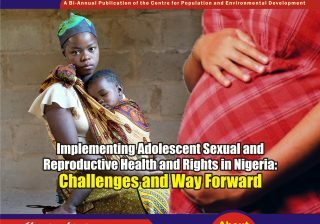 The authority of Okpe Local Government Area (LGA) has been very supportive in the implementation of the TTI supported MNCH project. The LGA Chairman, Hon. Godwin Ejinyere and his council members have been actively involved in the processes that led to the establishment of the CHIS. It must be stated here, that, primary health care service delivery in practice is directly managed by the local government authority across Nigeria. 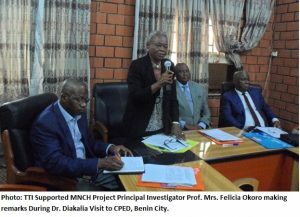 It is in line with this that the MNCH project team closely worked with the management of Okpe LGA to implement the research project in selected communities and to create viable opportunities for scale up. The same project team who visited the community with Dr. Diakalia also undertook the visit to Okpe council secretariat. The Vice Chairman, Hon. Donald Akpofohare, on behalf of the Chairman received the CPED team and thanked the team for the initiative and for choosing Okpe out of the 25 LGAs in Delta state for this great MNCH project. 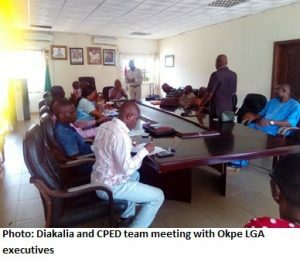 The council boss appealed for more collaboration of this kind and said that Okpe local government is ever ready to support projects that will bring development to the people. 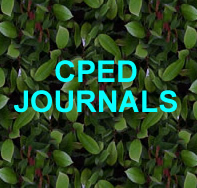 CPED executive director, Prof. Emeritus A. G. Onokerhoraye, on behalf of the team thanked the management of Okpe LGA for their support over the years especially in the cause of implementing the research project on improving maternal, newborn and child healthcare service delivery in rural areas. 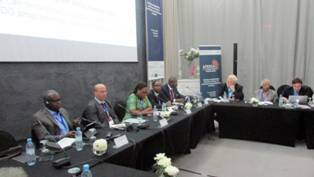 He emphasized that the days are gone where a team of researchers will go into communities, conduct a research and published its results without remembering the target population. 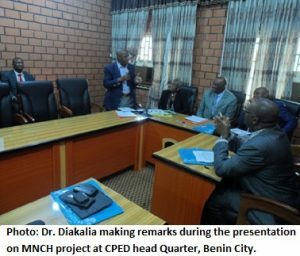 According to Prof. Onokerhoraye, the MNCH project team deemed it necessary to visit the council as the project is officially closed since the team visited the council at the commencement of the project. 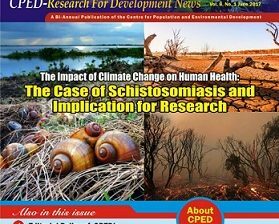 He further said that CPED will continue to involve Okpe LGA in subsequent projects as collaboration of this nature helps to build confidence in research results and implementation of policy recommendations. 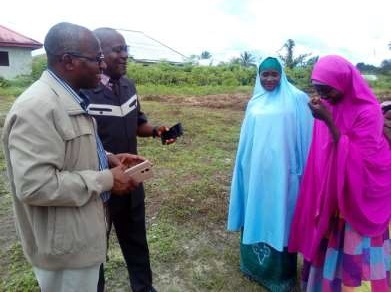 Dr. Diakalia said he was happy with the reception and commended the LGA authority for the good job and encouraged them not to give up in implementing programme that will better the lives of the people in the LGA. The team took a group photograph with members of Okpe LGA authority before departure to Benin City. 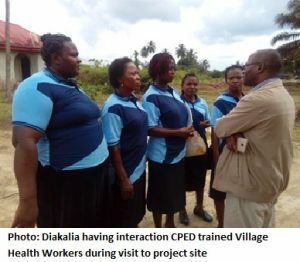 Diakalia’s visit to CPED has again shown that working directly with grass root communities is a sure way to achieve inclusive development. Developmental challenges in rural communities are enormous. With support from TTI and IDRC along with other donors, CPED research team will continue to work with these grass root population and strengthen their capacity to demand for their rights.